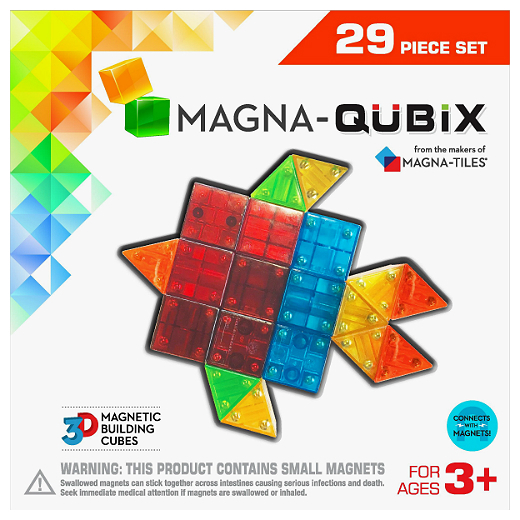 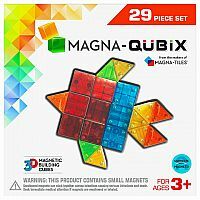 Stack, sort and build with the Magna-Qubix 29 Piece Set. 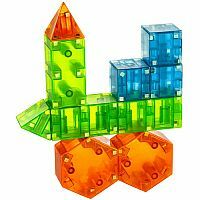 Different magnetic 3D shapes stick together with magnets to make a multitude of creations while exploring geometry. Make 3D shape sculptures and interesting towers. Every shape always sticks. 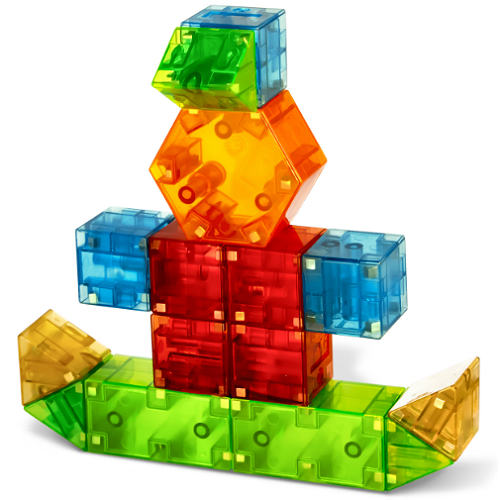 Endless possibilities develop logic and spatial powers. 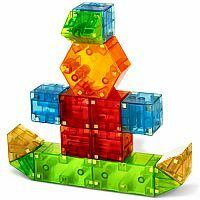 Squares are 1" cubes. 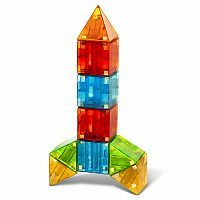 Measures approximately: 8.00 x 8.00 x 1.50 inches..